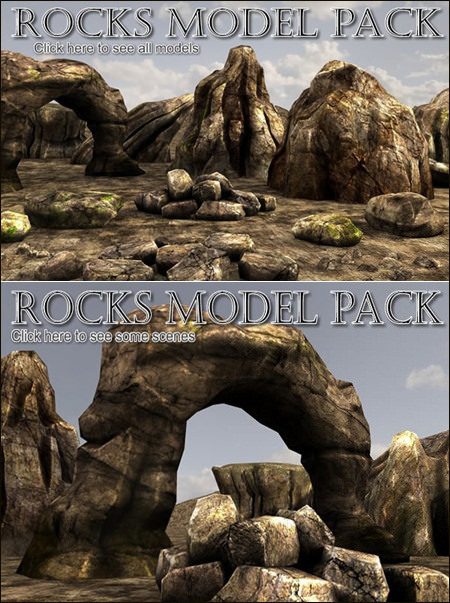 This pack contains 96 models (including all LOD stages), 66 unique models. 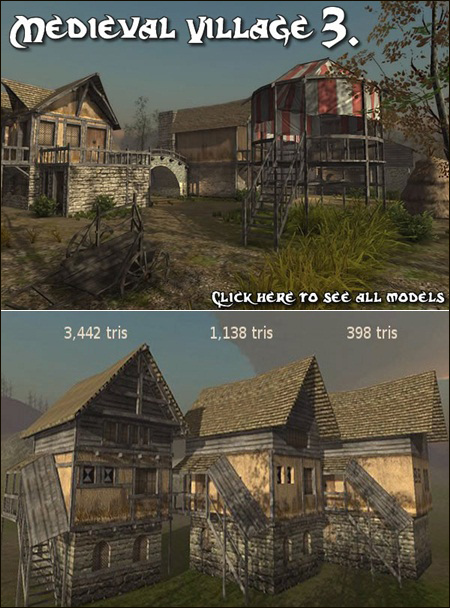 Additional textures for normal, height, spec and opacity maps are included (up to 1024px). 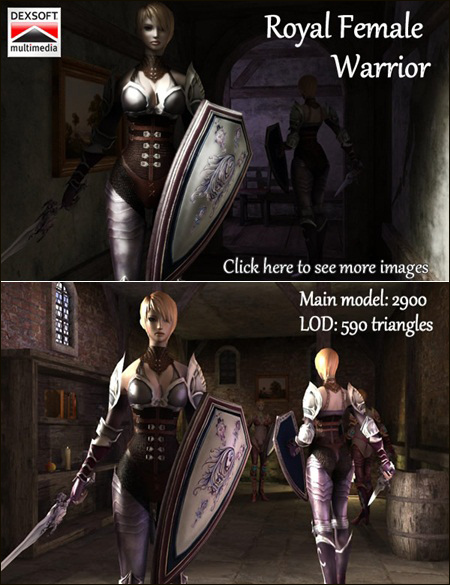 Many objects share the same textures to save texture memory. 45 models! 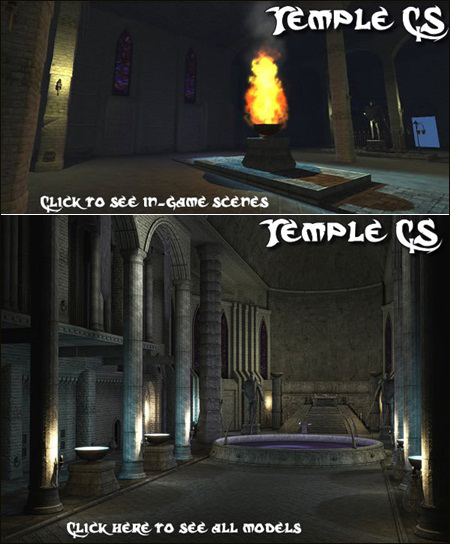 (21 unique + LOD stages) with textures in tga and png format, ready to use in your 3D work. 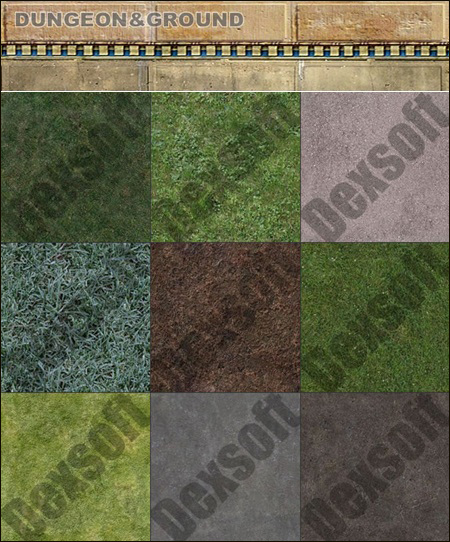 This pack share textures with Medieval Village 1. pack, which ensures perfect compatibility with first pack. 52 models! 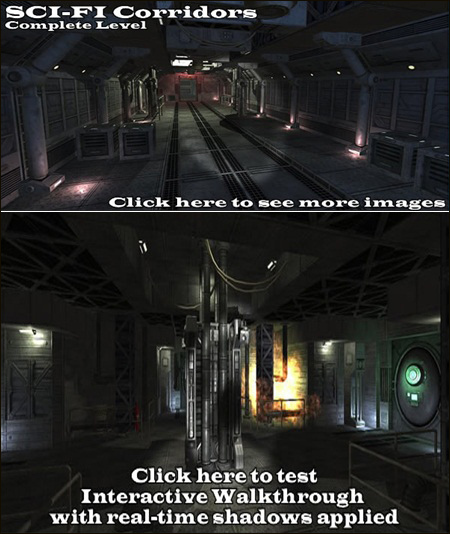 (22 unique + LOD stages) with textures in tga and png format, ready to use in your 3D work. 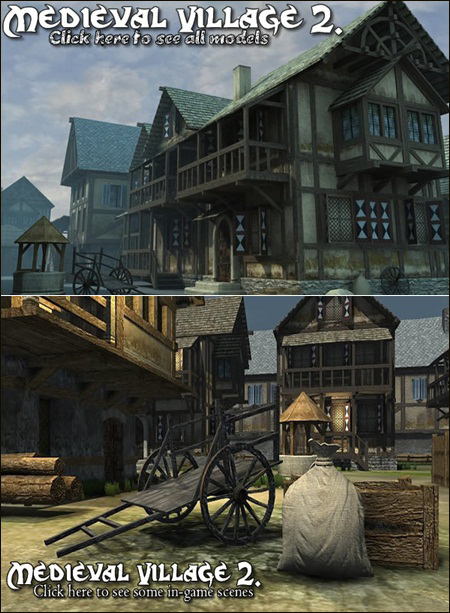 This pack share textures with Medieval Village 1. and 2. packs, which ensures perfect compatibility with first two packs. 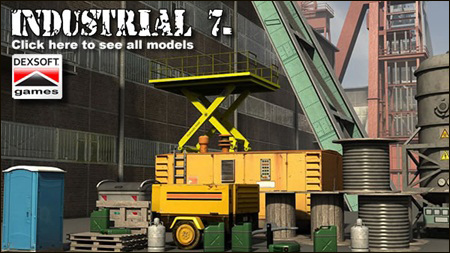 All textures are generated from high poly geometry and contain absolutely exact normal and displacement information. 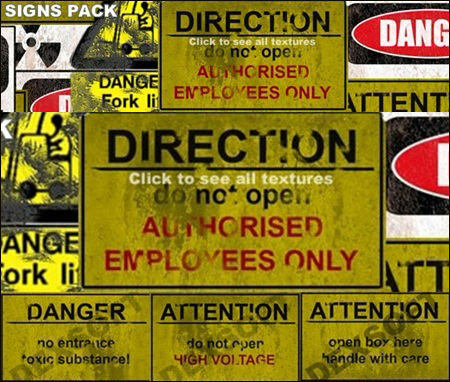 9 sign textures, textures have 256 px size, ready to use in your 3D work. 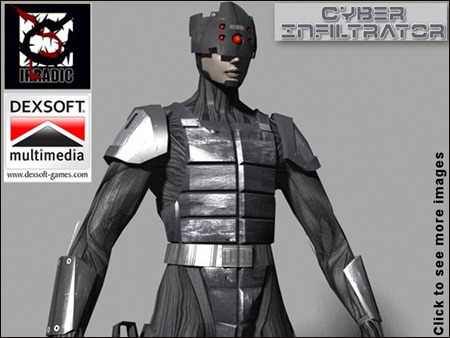 They fit perfectly to modern, signs and sci-fi environments.